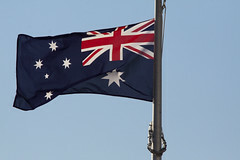 The Australian Taxation Office has indicated that it will soon begin taking a more proactive approach in collecting unpaid taxes, after its annual report showed that the national uncollected tax level increased by 20 percent over the 2009 – 2010 fiscal year. The Australian Taxation Office (ATO) has released its Commissioner of Taxation Annual Report 2009-10, which outlines the annual internal performance of the ATO. According to the report, over the 2009 – 2010 fiscal year the total uncollected debt figure of taxpayers and businesses (or “collectible debt”) rose to AUD 14.7 billion. At the end of the 2008 – 2009 year the total of taxes owing stood at AUD 12.15 billion. The new debt level represents 5.81 percent of the total national tax collections during the same period. The report stated that the ATO foresaw the rise in collectible debt, and attributed it to an “empathetic approach” to tax collection throughout the year. The ATO claimed that due to the recent global financial turmoil, it has opted to be lenient with national businesses in regards to their tax liabilities, granting numerous interest-free payment arrangements and deferred due dates for activity statement payments. The increased number of tax-payment arrangements coincides with a decreased level of ATO-initiated business bankruptcies, which fell from 549 during 2008 – 2009 to 397 in 2009 – 2010. In the next financial year the ATO intends to maintain a high level of “empathy”, although it will take greater discretion in granting payment arrangements to businesses that might not be financially viable in the near future. The report also revealed that the Australian Tax Office has also failed to meet 12 of its own 27 benchmarks for service standards. The ATO attempts to refund 90 percent of all overpaid taxes within 28 days, but according to the report only achieved the measure 82.5 percent of the time in 2009-10. During the same time period the ATO had a 46 percent increase in complaints from taxpayers. The Office has acknowledged that its sub-par service performance has led to a decreased satisfaction rate within the community, businesses and national tax practitioners. The performance dip has been attributed to difficulties arising from the ATO’s transition to a new internal “integrated core processing system”. The report claims that upon completion of the transition service performance will see a marked improvement, and restored taxpayer faith.